Tonight we're going to talk about bodies. Our bodies. This might seem like a departure for shul. Because so much of our liturgy, our poetry, our music, is about the life of our spirits. As if our spirits live somewhere other than our bodies. As if our spirits are deserving of being soothed and tended and pampered on Shabbos, even while our bodies that brought them here are sitting patiently in chairs, waiting for a turn that is probably not going to come. We are very attached to this distinction of body and spirit; it feels to us, metaphorically, like the distinction between Earth and Heaven. There is one realm that is physical and raw, whose obstacles must be surmounted or endured. And there is a Divine or spiritual realm, that is invisible but perceived, imagined but never quite reached in any physical sense. And our tendency is to honor – at least in our religious value systems – Spirit over Body, Heaven over Earth. This distinction between body and spirit is age old. It is reinforced in Jewish writings over all periods of time. That said, there's no clear evidence of it. There's nothing empirical to tell us that what we identify as our spirit is anything separate from our bodies themselves. Perhaps the Book of Genesis got it right (Gen. 2:7) when God forms the first human out of clay and then breathes nishmat chayim – the breath or spirit of life – fwoosh – into the human's nostrils, and the human then becomes something different – a nefesh chayah – a living soul. And there you have it – the breath of the Divine, infused within the clay. Heaven and earth, frothed up together, to become something else – nefesh chayah, the animal-spirit, the living soul. 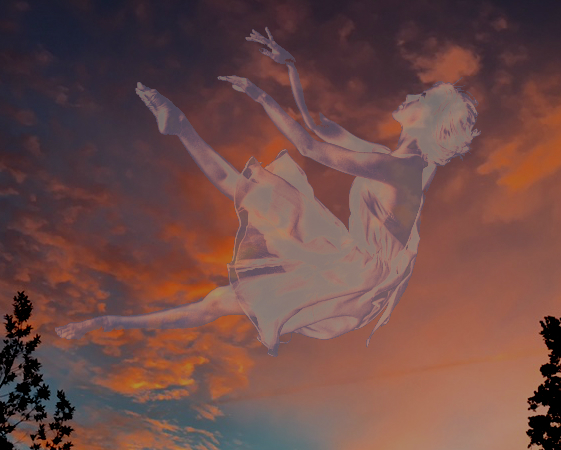 I wanted to name this complex connection between body and spirit – that our spirits are part of physical bodies and our bodies move in a spiritual universe – because that is where this week's Torah lives. It is one of our most challenging Torah portions – Tazria – (Leviticus 12 and 13) which is briefly about childbirth, and then about skin diseases, but overarchingly about how our physical bodies live within a communal spiritual environment. The laws given in this week's portion are among the indigenous laws of purity that Leviticus records. And I say "purity" in quotes. You have a baby? Then for some period of time after that you are tamei – which we translate as "impure" but might be more like "taboo". Following a birth you are in an altered state, and because of this the law considers you tamei – you are, for certain purposes, benched. But childbirth is not the only thing that can put you on the tamei bench. Everyone goes in and out of being tamei, depending on their health, where they are in a menstrual cycle, what they've touched, if they've had a nocturnal emission. In other words, the cycles of our bodies are reflected in the spiritual environment. Sometimes the restoration of the environment is achieved with a simple plunge in the mikveh and a change of clothes. Other times it is a matter of time – 7 days, 8 days, 30 days. And then the return to active communal spiritual life is marked by an offering at the Temple, and in the case of some difficult skin conditions, by a shamanic cleansing of your house, involving the sacrifice of one dove and the release of another. The exclusion of people from certain functions, the isolation imposed on people with certain diseases – these might offend our modern eyes. After all, our society does articulate policies and ambitions about inclusion. Although we know that despite such words and goals, exclusion is not unfamiliar. But whether or not we agree with the laws in Leviticus, there is something important about Torah's understanding that the physical body produces spiritual states. Our bodies affect the spiritual fabric of the community. The connection between our bodies and our spirits, and between our bodies and our shared spiritual energy, is worth noticing. Because we don't talk about it much. We go in and (hopefully) out of illness, and we don't so much ask what the function of spirit is, and what the effect on spirit is. We don't have a robust liturgy about our bodies; our bodies are mostly vehicles to articulate prayers about other things. But where are the specific prayers when our bodies are injured or fighting disease? They exist, but you'd have to Google them*. We don't have much official liturgy for childbirth or how our bodies and spirits are affected by giving birth. There are so many moments, so many physical moments and states where we could easily invoke a spiritual dimension if it were part of our vocabulary. What series of blessings go with changing our bodies to better match our gender? What are our Jewish meditative exercises that go with facing cancer. What about the removal of organs or the loss of limbs? Why do we not, at least once a year, say kaddish for the parts of our bodies that lived and are now gone? And this doesn't have to be limited to moments of great change or mortal danger. What is the blessing for the end of a migraine? For a tooth extraction? For going to the gym? What is the blessing for choosing a tattoo? Yes, it's not a traditionally Jewish thing to do, but Jews do it. So what's the blessing? What is the blessing for looking in the mirror and applying makeup? What is the blessing for giving up makeup? And why, when sitting in the barber chair, the first time I noticed that the clippings collecting on the apron were more silver than anything else, why didn't a Shehecheyanu spring to my lips? We need those tools. We need to feel into them, intuit them, invent them; birth these blessings into the world. Because our bodies have spiritual dimensions. Our bodies' struggles affect our spiritual lives. When we hurt, our prayers are different. Our bodies are instrumental to spiritual practices. It is our bodies that dance and chant, our bodies that recite prayers, our bodies that wash hands and sip wine and taste parsley and saltwater. It is our bodies that sit silent in meditation. And when we say, "notice your breath" we are drawing attention not only to the movement of air, but to the lungs and diaphragm that are doing the moving. How we hold our bodies – that is to say, with love, with compassion, with honor or with shame – affects our happiness, our relationships, and the spiritual life of this community and this world. We should never think that bodies are separate from spirit. What we do to the bodies of other people, how we talk about their bodies, the quality of welcome we give their bodies, the labor we expect from their bodies, the way we reduce their bodies to symbols rather than honoring their experience as flesh and blood – all this affects the fabric of our spiritual ecosystem. Our ancestors knew this. They knew that the body affects the spiritul life of the community. For them, recovery from illness, or surviving childbirth – these were causes for awe and for offering. Offering life force to the Divine in exchange for the renewal of life force in us. What if we made a point of offering up gratitude for everything about our bodies? How might our spiritual lives be strengthened if we loved our bodies a little more? If we didn't judge them quite so harshly? If we loved even what was different about them? If we noticed more often how these bodies – despite disease and injury and chronic condition, with or without the help of exercise, and despite the advantages and disadvantages of our DNA – these faithful bodies have kept us alive. Every one of us. For however many years we've been on the planet. These bodies have allowed us each to be a nefesh chayah – a living soul. So let us notice it now. Let us invite our bodies into our spiritual lives. Let us dance in this room, or sit, not passively, but with the active joy of being able to be here sitting. Let us notice the gifts our bodies give us, their willingness to hold our stubbornness and our flaming spirits, their readiness to give voice to our supplications and to our gratitude. Let us mark the lives of our bodies in our spiritual practices. Let us release doves of the imagination to Heaven – a Heaven that really lives somewhere in the fullness of this Earth – as an offering from our grateful spirits, that really live somewhere right in here. * Perhaps our most common traditional Jewish body-blessing is Asher Yatzar, a gratitude for the function of our guts. Rabbi Rachel Barenblat discusses that blessing here. Other morning blessings echo the process of the body’s waking up and rising, although communalized and made somewhat abstract – so a blessing, for instance, for being able to stand up and get out of bed is framed as “Blessed are You who straightens those who are bent over.” The most traditional version of morning blessings can be found here, but be prepared – they include not only references to being back in the body, but gratitudes for not being Gentile, not being a slave, and (in the case of men) not being a woman. Liberal Jewish denominations have eliminated or rewritten those blessings.